Produced in his studio in a small town in Minnesota, the art of John Berkey looks more as though it might come off the drawing board of a team of NASA engineers a hundred years hence. And it seems likely that some of the spacecraft in the future will look the way he depicts them. No matter how much mechanical detail Berkey introduces in his futuristic vehicles, he is less interested in the nuts and bolts than in the concepts. The effect is perfect, but on closer examination, the detail is not real; rather, he conjures up a vision and makes it convincingly believable. The artist is a dedicated craftsman who works in casein and acrylic and grinds his own pigments. 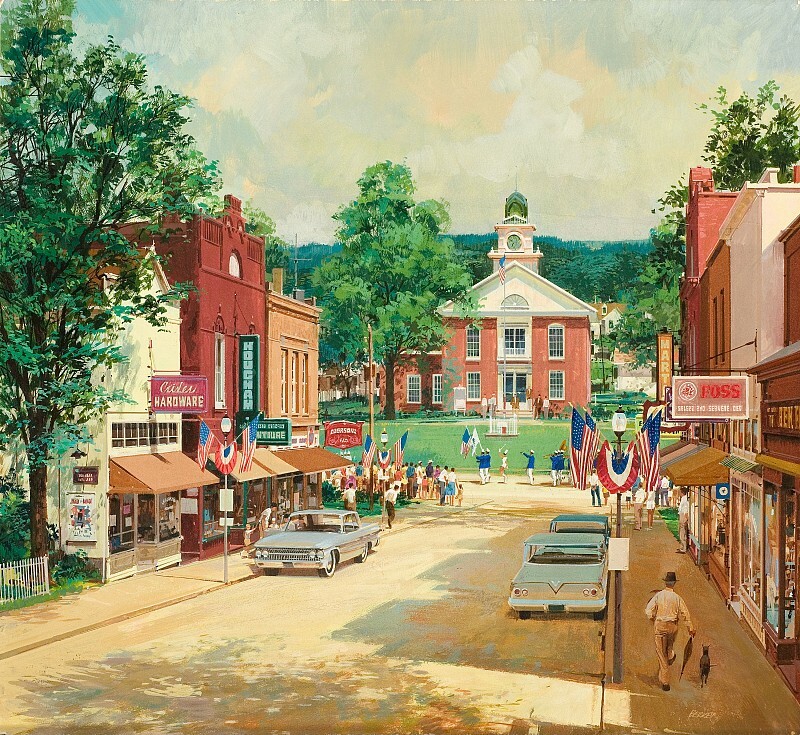 Berkey was born in Edgley, North Dakota, and got his artistic start by producing calendar art for Brown & Bigelow in St. Paul, Minnesota. The many kinds of subject matter required, and the need to work quickly, gave him excellent training. He has since attracted a wide variety of editorial and advertising clients, including National Geographic, Time, Life, Omni, Discover, Sports Afield, TV Guide, The Franklin Library, U. S. Steel, IBM, Texaco, Otis-Sperry, Paramount, and 20th Century Fox. Among his movie poster art projects have been King Kong, Star Wars, and The Towering Inferno. An excellent collection of his work is included in his book Painted Space, published in 1991.